Media hype surrounding sports concussions harms athletes enduring the injury and the promise of litigation payoffs results in prolonged reporting of symptoms, says a new article in a medical journal. “Research has shown that compensation and litigation factors are the single most stable predictor of prolonged post-concussive symptoms in concussion samples,” Rodney D. Vandenploeg, Heather D. Belanger, and Paul M. Kaufmann write in Psychological Injury and Law. The academic article comes in the wake of a lawsuit against the NFL by more than 4,000 retired players alleging brain injuries caused by playing in the league. A 2012 National Institutes for Occupational Safety and Health study of 3,439 retired players found just 12 deaths–two more than expected based on prevailing rates–among the cohort from Alzheimer’s, Lou Gehrig’s, Parkinson’s, and other neurological diseases. The players fared better than their peers in 14 of the remaining 16 categories, explaining the longer lifespan that some say explains the slight rise in neurodegenerative-disease deaths. In addition to malingering, concussed individuals pursuing claims may find themselves influenced by lawyers, the mass media, and medical practitioners into believing that the prolonged suffering results from the initial physical injury. The journal article maintains that pronounced media interest in sports concussions creates paranoia in those who have suffered mild traumatic brain injuries (MTBI) that leads to stress, depression, and anxiety–maladies that patients interpret as stemming from the physical injury rather than their psychological preoccupation with it. Most athletes exhibit a complete recovery from a concussion starting a few days to two weeks following the injury. 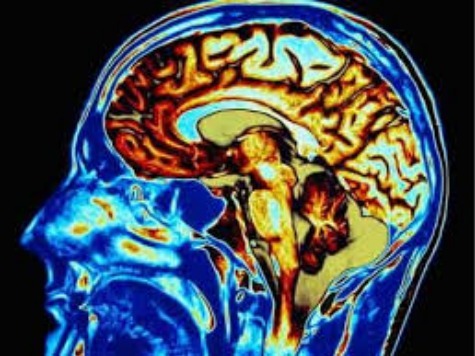 “Nocebo Effects and Mild Traumatic Brain Injury: Legal Implications” argues that patients receive negative reinforcement of poor prognoses from lawyers, through repeat visits to the doctor’s office, on television, and even via something as seemingly benign as using the medical jargon for concussion–mild traumatic brain injury–instead of common parlance. “In medicine, a nocebo is a harmless substance that creates harmful effects in a patient who takes it,” the authors write. “In contrast to the placebo effect, the nocebo effect is a negative reaction experienced by a patient who receives an inert substance.” In other words, the power of suggestion, rather than the power of a helmet-to-helmet hit, might be the culprit instilling agony in the concussed months after the initial injury.